Late bloomers toss their Hail Mary’s with wild abandon. Spectacular with a stark backdrop of dramatic foreboding skies telling of unknown factors that will impact their destiny; cold, snow, ice or warming and cooling to extremes. They create a freeze frame of wondrous moments of surrender to powers beyond their control. The winter shroud of rest & rejuvenation is about to begin, why not throw it all to the wind, what do they have to lose? The beauty of these blooms against a winter sky tell you their own story. It’s well into time to start planning your spring rose garden. It’s fun to get the kids involved. I remember a little boy that visited the rose garden in Texas during spring bloom. 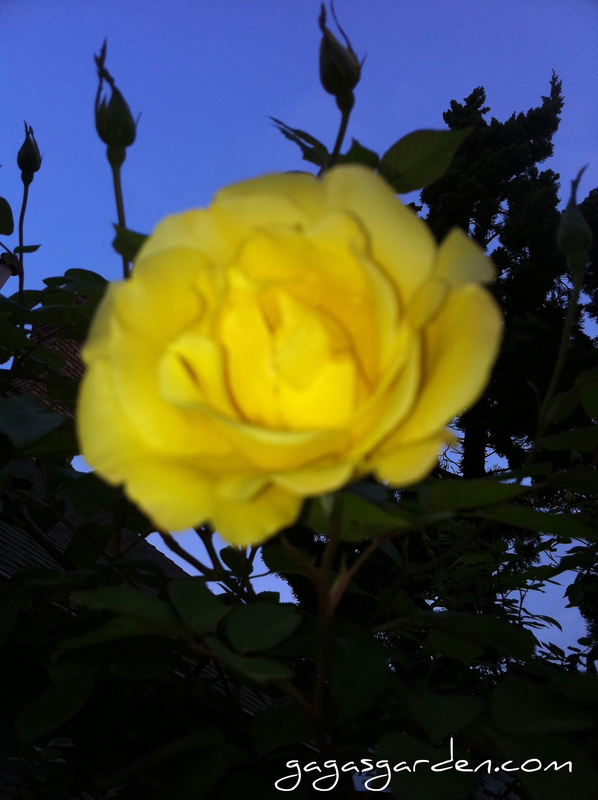 He was enamored with the hybrid tea, St. Patrick, a magnificent highly rated yellow blend rose that when it is in bud form looks green. This little boy had to have a St. Patrick rose and started a garden with his first rose bush, St. Patrick. Late blooming roses give us pause to reflect upon factors to consider when planning new rose selections. 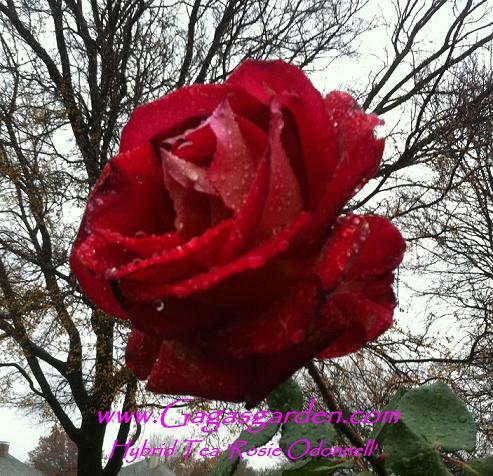 Is the rose you want in your new garden cold hardy? See Plant Zone Defense. Selecting roses for a new garden is an adventure in emotions. It’s like the football draft. What rose variety will make the cut. I also bring to the table experience as a buyer for major retailers. Never make your buys without history, also like the football draft and looking at a players stats. 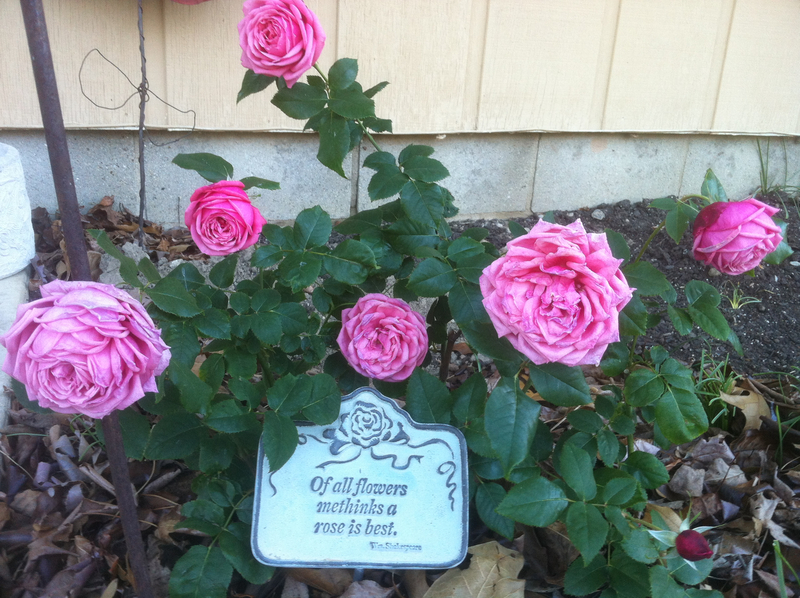 A rose variety is rated on the following; form, color, fragrance, disease resistance, etc. Do you have history with individual roses? I could start a mini-series. As one HR executive once told me, “you can’t take your emotions out of the process of interviewing people,” but I sure can curtail it when selecting a rose to buy; if I look at the rose ratings and see the rose is rated poorly by the American Rose Society’s Handbook for Selecting Roses. That book is spot on folks and I don’t like to have to “shovel prune” a lousy rose but I will if I have to. Better in the great words of Eric Clampton kill it before it grows, I Shot The Sheriff Don’t buy it – don’t plant it. Let the rose games begin. Here’s the first new rose bed location. Margie Clayman, Director of Client Development at The Clayman Ad Agency in Akron, Ohion, a third generation marketing firm with a column she writes called Social Media, Marketing, Musings suggested we work on this as a step-by-step, do-it-yourself rose garden from the ground up, and so “OUI” shall, together. I built an elevated bed in Texas with drip watering systems that I don’t think will be necessary in this Central Illinois climate. 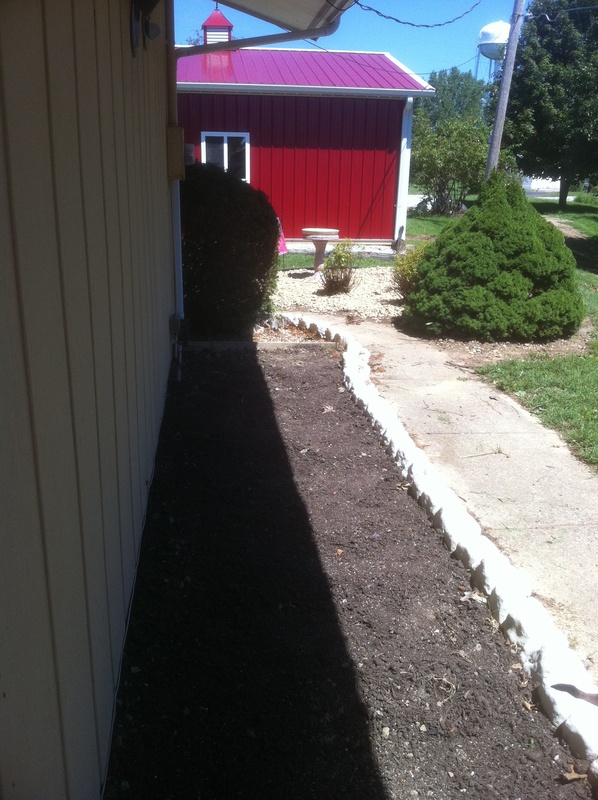 We are going to plant directly in the soil that “OUI” will add the same rose organic soil amendments to. P.S I am going to do a live interview with exciting June Stoyer, host of The Organic View Radio Show tomorrow at 4:00 PM Eastern Time on Organic Fertilizers for Roses. Tune in, we’ll have fun! Always good to hear from you! Hope your special tea is brewing away. Thanks for following me on twitter. My wife loves to garden, so I’m going to make sure she sees the blog. I’m too busy with seo services and seo marketing to go out and work our garden. Keep the great posts coming! Thank-you for taking the time to comment. Gardening surely soothes the soul, and I’m know you enjoy the results when you can. I look forward to hearing from your wife. I admire your knowledge and energy! Your first rose is beautiful! You have your work cut out for you getting all of this started. Good luck! It will be a labor of love. I will record the progress and share as I grow. I hope you are doing well in W. Texas winter.